Happy New Year, SCT Sampler friends! It’s a brand new year and we wanted that to reflect in your January Sampler! Were you a little surprised to find a Pocket Traveler’s Notebook in there? We were keeping that a secret and just could not wait to share! Thank you to Webster’s Pages for sharing these beautiful products with us. And with a brand new year, it seemed fitting to share the Hello New Year II collection from Photo Play Paper so that you can record your Happy New Year memories. 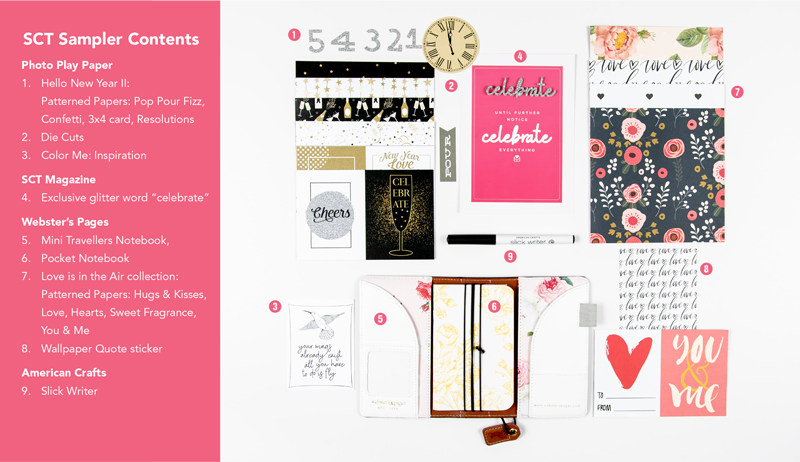 Add in a Slick Writer from American Crafts and you have yourself a fun little package! We hope you love it as much as we loved choosing it. Below you will find an image of what you’ll find in your January SCT Sampler keeping in mind some products may be a little different as we share bits and pieces from the collections we’ve featured. 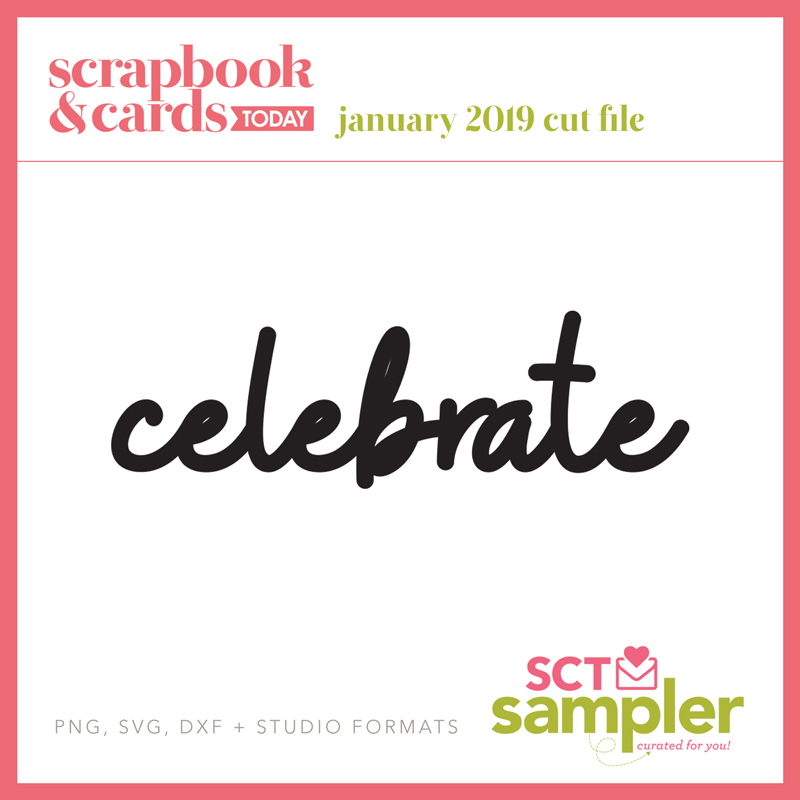 Be sure to check out the cut file for this month’s word “celebrate” and below are some valuable coupon codes to shop for some of your new favourite things from our friends at Scrapbook.com and Two Scrapbook Friends. Our next SCT Sampler order period is now open for a March start! Be sure to share this with your friends so they can receive “happy mail” too! 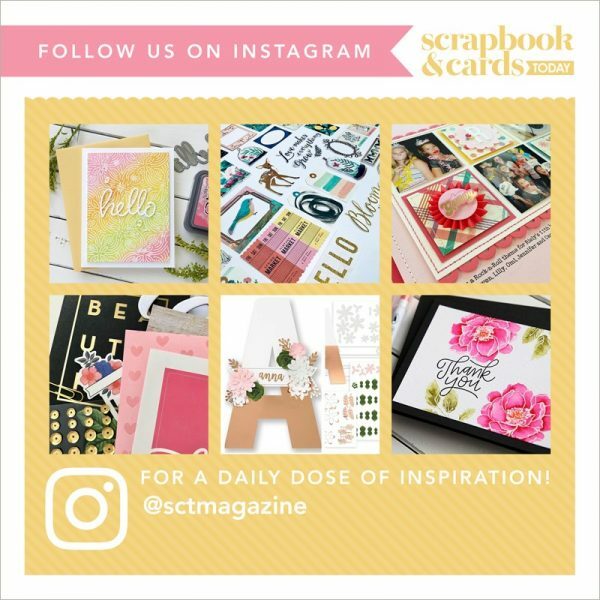 We would also love if you could take a moment to visit our friends at Webster’s Pages and Photo Play Paper and let them know how much you have enjoyed this month’s SCT Sampler. As we said on the postcard in your Sampler, until further notice celebrate everything!